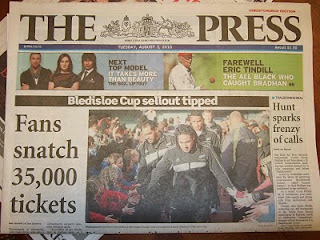 Rugby fever has gripped Christchurch with only 5 days till the big game - All Blacks vs. Wallabies. 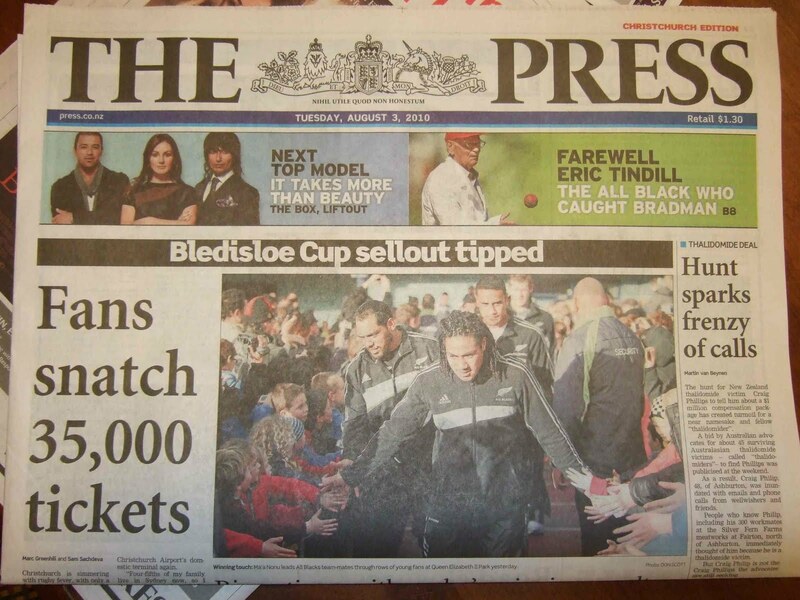 The All Blacks are in town and are busy around the city whipping up Rugby Fever (see front page of today’s Paper) Robbie Deans (local boy and Wallabies coach) is also here and tickets are almost sold out. Details here. 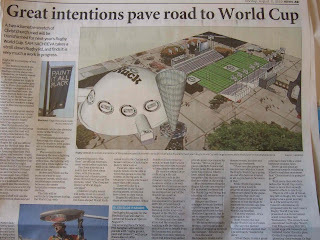 This Saturday is a dress rehearsal for next years Rugby World Cup 2011. 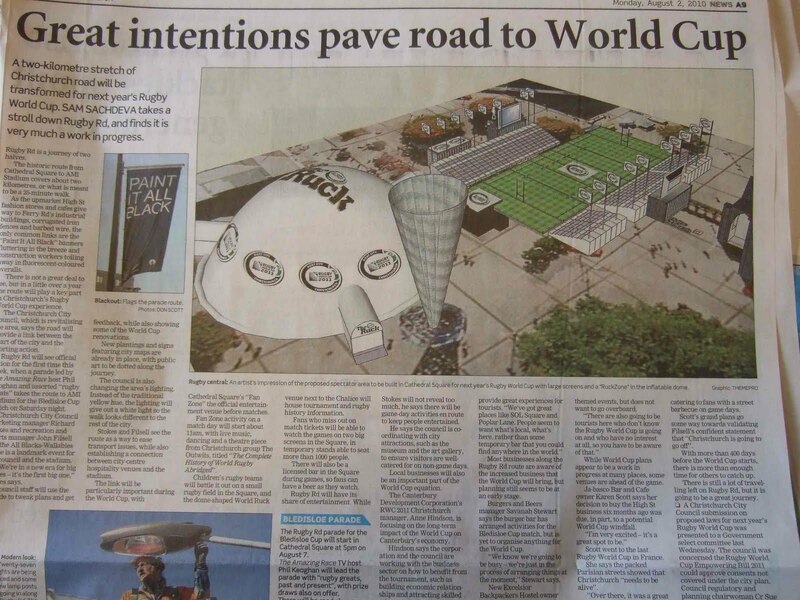 The plans for the mini stadium in Cathedral Square next year (see front of yesterday’s paper) are being finalised and it is looking good. All only 750m from your rugby accommodation, CentrePoint on Colombo Motel. If you are going to be in Christchurch this weekend, here’s some info about what is happening. The roads (High St. & Ferry Rd.) from Cathedral Square to the Stadium have been renamed “Rugby Road” and new lights are being installed. From 5pm The Amazing Race host (another local boy) Phil Keoghan will lead The Rugby Road Parade from the Square to the Stadium. The roads are going to be closed and prize draws, food etc. along the way should make it a “not to miss” event. If you’re staying with us at the Closest Luxury Motel to the City Centre, plan to leave about 4.45pm to be in plenty of time to join the festivities.